Say hello to the WeGirls! 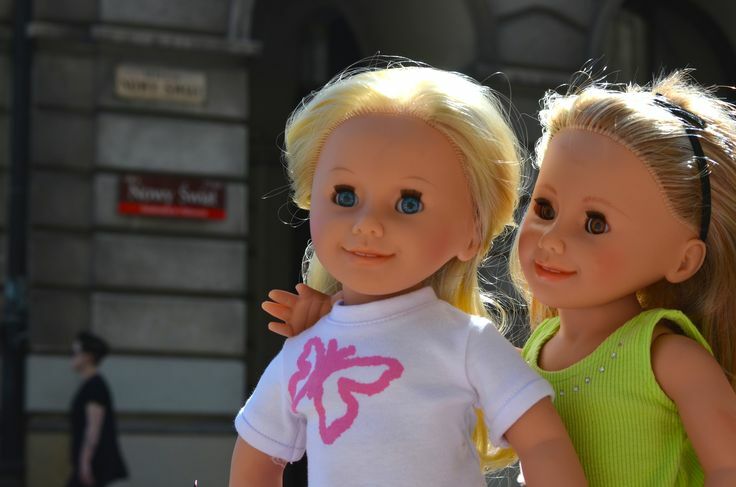 WeGirls are a new brand of beautiful 18 inch play dolls from Poland. They have been introduced to inspire little girls to have fun and live their lives to the full. 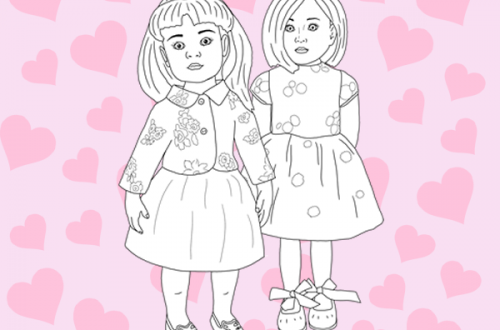 The dolls are the lead characters in a range of books, currently only available in Polish but soon to be translated into English. The stories provide lots of positive messages and encourage girls, for example, to consider others, to accept differences, to care for nature and the environment, to travel and appreciate culture. In addition there are lot of dolls clothes available some of which have matching clothes for girls. 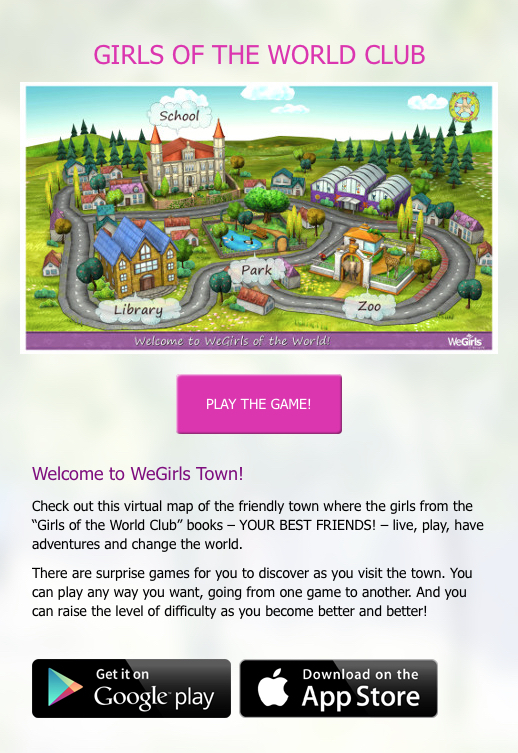 Girls will love that there is also a website with games to play (which is already in English). 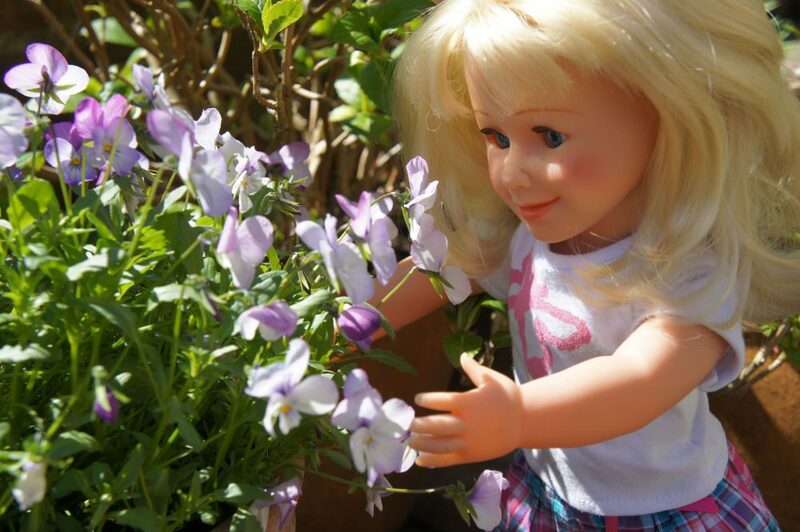 So there is far more to WeGirls than just dolls and dolls clothes, but instead it offers a whole world of doll play. The doll I chose to meet first is called Olympian. My daughter and I liked the look of her blonde hair style, blue eyes and freckles. When she arrived, our immediate reaction was to take her out of the box and play! We both fell instantly for her smiling face and how well she can be posed, and within minutes she was heading into the living room to say hello to our dachshund, Daphne. 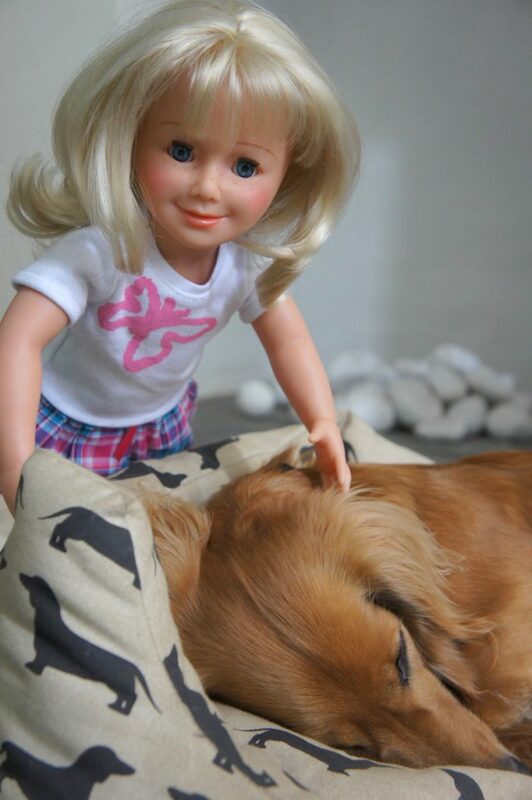 You can see in the photograph how easy it is to put the doll into a really natural position and she looks so lifelike. Then there was no stopping her running outside with the dogs and we could not get over the strength of this athletic doll as she climbed up the crabapple tree! The last time the ‘playful factor’ was so obvious when a box was opened was when Lottie arrived from Schildkrot. The minute we opened her box she was out and climbing all over the place, which was such fun! But it seems there is a reason for the similarity. To me the eyelashes were a clue as to who had made these dolls, as was the multi tonal rooted hair, which we had seen before. It turns out that WeGirls asked Schildkrot to make their dolls for them. 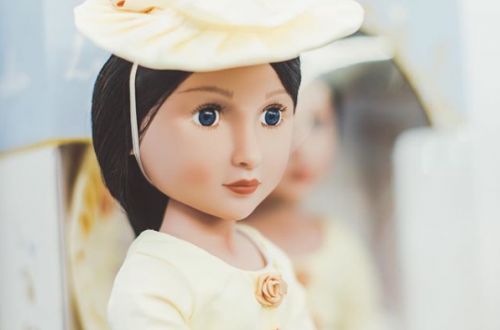 We are so excited that there is an 18” play doll with lots of clothes and accessories available that has been made in Europe, and we are very familiar with Schildkrot’s superb quality. So what do Rosie and I think of Petalina’s latest addition? ‘Cute and playful’ is the word that sums up the WeGirls dolls for us. They are pretty, smiling and wanting to have fun, and I think little girls are going to absolutely love them. 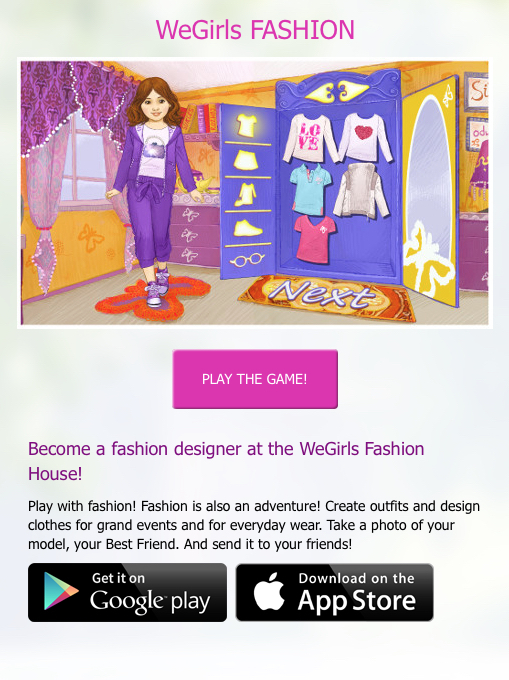 The fact that there is a website with games and a dressing doll app will also greatly appeal, and the dolls clothes available are fashionable and up to date, as well as great value. 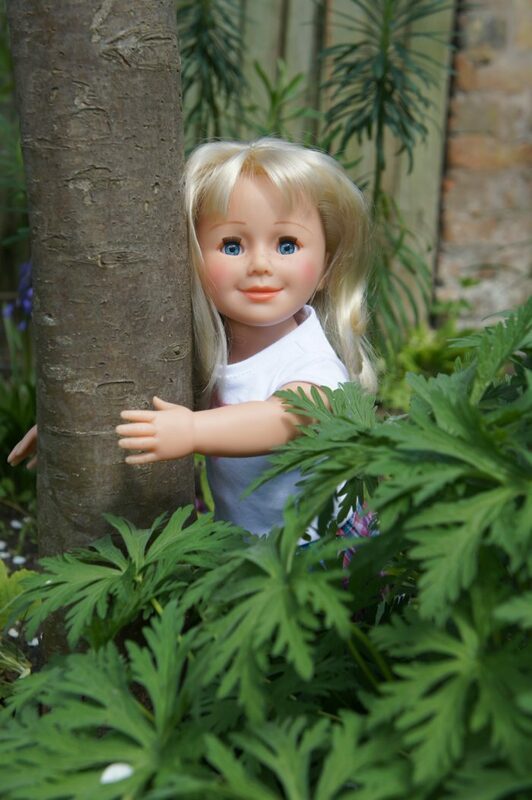 The dolls are made from soft to the touch phthalate free vinyl. Their heads, bodies and limbs can all be compressed a little when squeezed so they feel cuddly when being carried around or taken to bed. 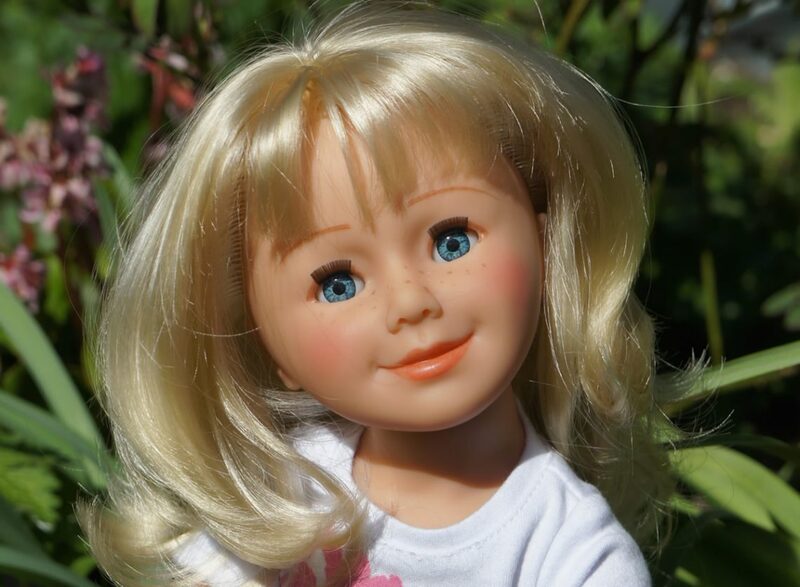 They have large smiling eyes with long lashes on the top eyelid, a little bit of pink blush on their cheeks, painted lips and eyebrows, and some of them have freckles across their noses and cheekbones. Their hair is rooted and good quality, so perfect for brushing and styling, and there is quite a variety of hair styles too. 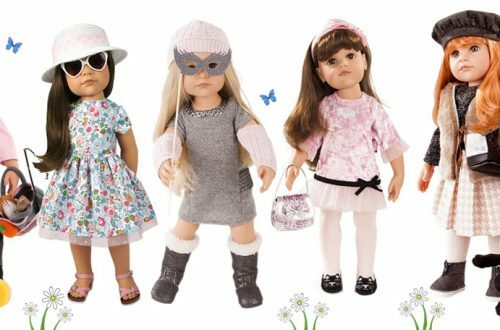 Initially, we chose five dolls to stock at Petalina but due to customer requests we have now ordered all of the dolls in the range. Earlier in this article I touched upon how posable the WeGirls dolls are. All of their joints are fully mobile and their arms are particularly good at staying in position. 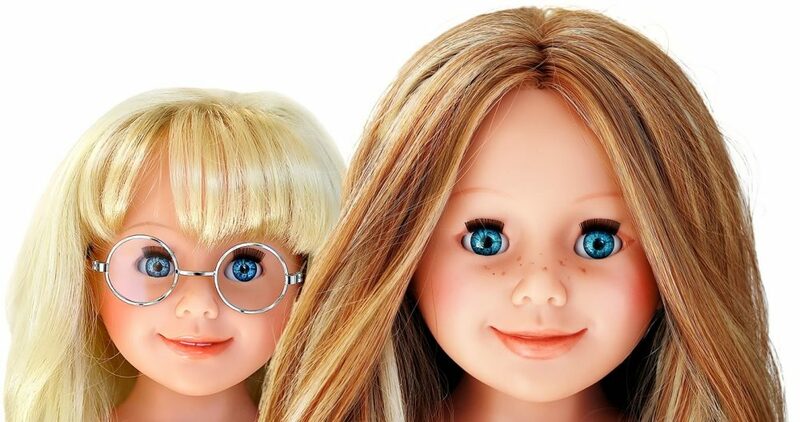 The arms and hands are sculpted differently on each side, which make the dolls look as if they are moving, and their heads are cleverly designed so that they can be tipped and turned in all directions. Again, this really adds to their natural appearance and makes the dolls such fun to play with. 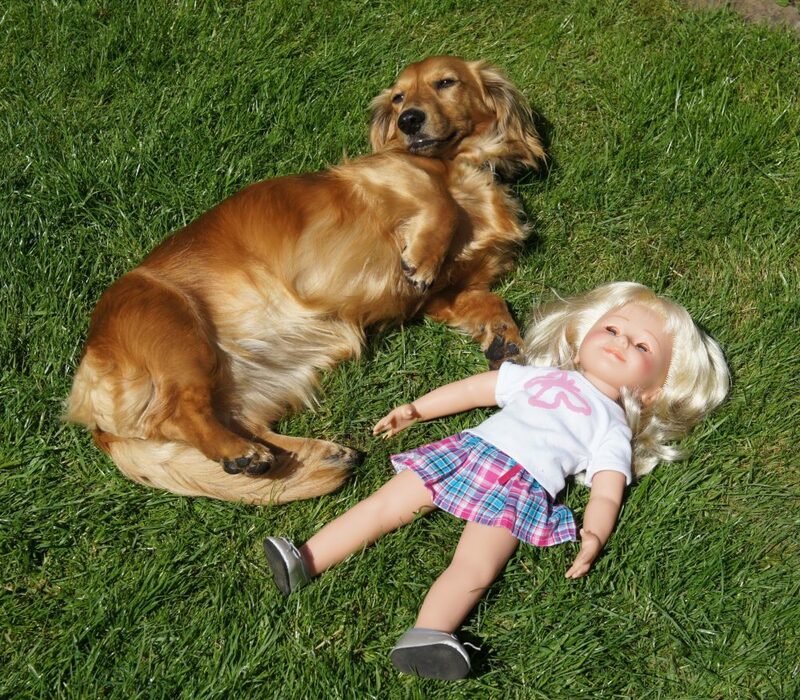 Enjoying a bit of sunbathing with Daphne…. I really think WeGirls have created something unique. I don’t believe there is another all vinyl 18” doll available with closing eyes, certainly not in Europe anyway. 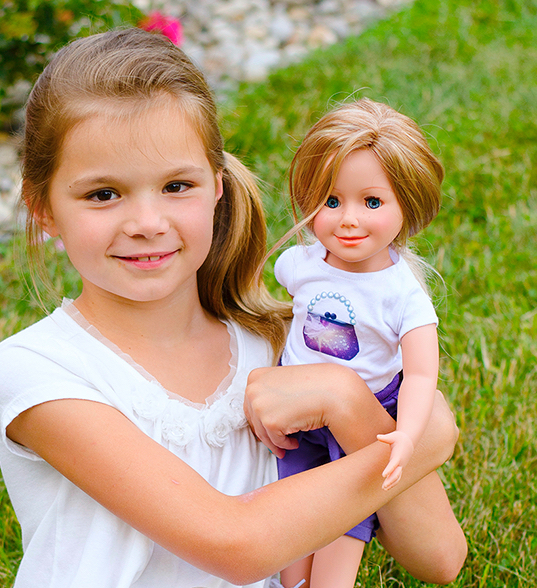 Most companies seem to prefer to make a doll that emulates American Girl with a soft body and a wig, but WeGirls have been brave and created an 18″ doll that can share clothes with American Girl but is completely different, which is very refreshing. The proportions of the dolls are based on the physique of an 8 or 9 year old girl and rather than having rounded tummies or unrealistic slenderness, they actually look muscular and strong. In terms of size they are a fraction smaller than American Girl and a little larger than all the Gotz girls. But the similar sizing does mean that they can share lots of clothes from other 18” doll ranges. 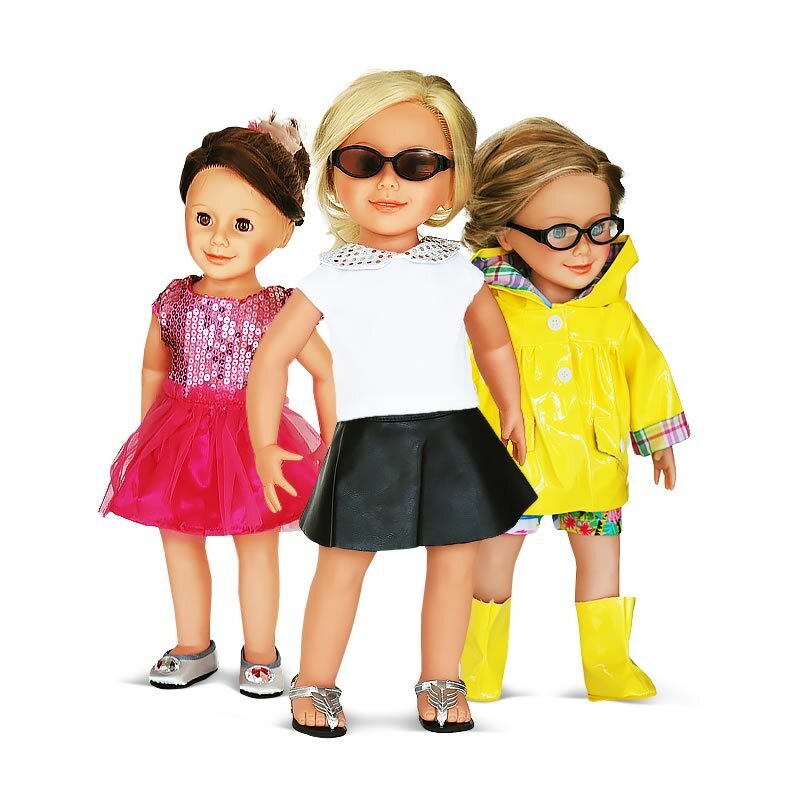 WeGirls have also introduced plenty of fashionable dolls clothes, shoes and accessories at very reasonable prices (made in China rather than Germany). 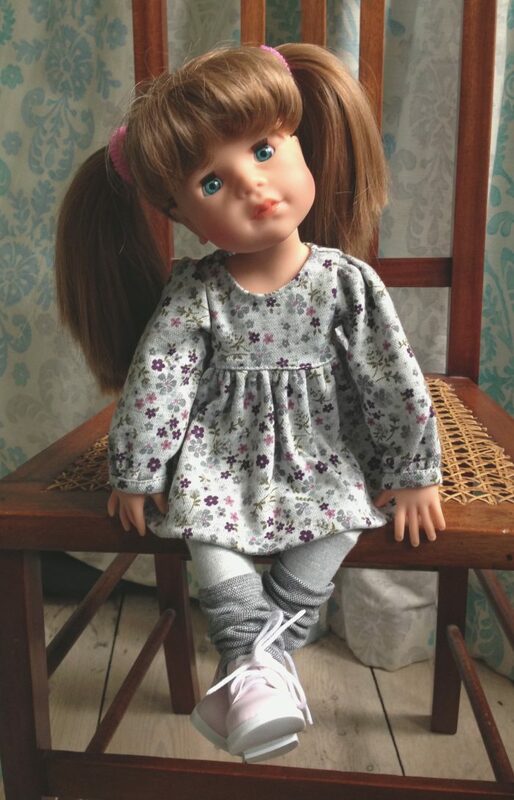 Many of the clothes are sold as separates so that they can be mixed and matched rather than having to buy a complete outfit, and they also fit lots of other 18” dolls. There are also a few accessories and I imagine that this range will be growing over time. We absolutely had to have the wheelchair and scooter to play with at Petalina! Finally, there are also a few outfits for girls to wear too with matching outfits for their dolls. We have ordered just a few of these to test customer reaction and will add more if they are sought after. We have started with age 5-6 and 7-8 but they are all available in larger sizes. Our favourite? The Pink Floral Pyjamas are made from a good quality jersey in lovely bright colours. First posted on Petalina’s original blog on 13/4/15. Recently we have noticed changes going on at WeGirls. We hadn’t ordered any dolls or clothes for a while before we closed Petalina but I had heard from WeGirls that they had managed to reduce the price of the dolls. We found them on Amazon and it was very clear that the production of the dolls had changed. Using schildkrot to make them meant that the dolls were high quality with amazing hair but they were quite expensive. Now they are selling for £39.99 on Amazon which would also suggest a change in manufacture. You can see the newer dolls on Amazon here.